In 1985, just two years after the video game crash of 1983, Nintendo entered the console world with the debut of their first video game system, the Nintendo Entertainment System (also known as NES). Rivaling Atari's video game systems, Nintendo quickly gained a large portion of the market due to their epic, revolutionary 8-bit system. Originally, consumers could buy the Nintendo Entertainment System with three games and a light gun for $249, a high price for such a commodity at time. Despite its high price, the NES easily outsold Atari's inferior consoles. Dominating the market since the release of the NES, Nintendo forced Atari into submission, and as such, Atari surrendered. In effort to prevent further debt, Atari ended the production of its systems and instead focused their efforts on publishing and creating video games. Atari's fate was ironic, as Nintendo had originally entered agreements to publish their console under the Atari brand name. Sadly, Atari failed to capitalize on Nintendo's offer, and as a result, Nintendo taught Atari a rather harsh lesson. Originally, Nintendo had released Super Mario Bros on the Atari, but the updated NES version of Super Mario Bros became an instant classic boosting further sales of the console. At the end of the NES's successful run, over 20 million systems had been sold. Surprisingly, the NES did not sell as well in Europe, because many third party publishers did not want to produce video games for the NES; they preferred to focus their efforts on Sega's well-established Sega Master System. In 1993, Nintendo released a physically smaller version of the NES at a lower price, hoping to gain additional market share. Today, the mini-version of the NES is hard to come by, and it is normally priced higher than the original console because of its rarity. In addition to the 20 million NES systems sold, Nintendo sold a whopping 350 million NES game cartridges. Sales of the NES began to flounder after Sega released its superior Sega Genesis console which rapidly began stealing Nintendo's large market share. In response, Nintendo came up with a new system to compete against the Sega Genesis -- the Super Nintendo. The NES crushed the sales of the Atari 7200, since the Nintendo was physically puny compared to the humongous size of the Atari, and it was about as powerful as two Atari game systems put together. The NES is an 8 bit system, as is the Atari 7200. However, the Nintendo had more powerful graphics and superior sound. The NES used plug-in game cartridges. There are over 700 different games for the Nintendo. The big hits were Super Mario 1, 2, and 3. This was the first game system Nintendo produced. It was released in August of 1985. Dominating only the market in Europe, Sega's CEO Hayou Nakayama decided it was time to unleash is newest gaming console, the Sega Genesis. Trumpeted as a true 16-bit system, the Sega Genesis quickly gained a positive reputation among gamers, as it was the first console to feature superior hardware and graphics to Nintendo's outdated NES system. Before the release of the Genesis, Nintendo dominated the video game market with a 95% market share in the United States and 92% market share in Japan. Originally, Sega dubbed the Genesis as the Mega Drive, but unfortunately, the name was already trademarked by another company. Sega announced that the starting price of its newest console would be $200, $50 less than Nintendo's release price of its NES. The Genesis was released on September 15, 1989. Shortly after its release, the Genesis was quickly recognized by critics as a superior console to the regular Nintendo. By the mid-1990's, Sega had sold over 1 million consoles, and as a result, Sega converted several Nintendo fanboys into Sega fanboys. Just as Mario had become a recognizable symbol for Nintendo, Sega needed a product mascot to improve product recognition. After entertaining several ideas, Sega finally selected Sonic as their mascot, hoping it would bolster customer appeal as Mario had done for Nintendo. Sega's efforts paid off; Sonic the Hedgehog was a hit, and to this day, Sega continues to develop new Sonic games for current consoles! Sega Genesis sales sky rocketed. In 1992-1993, the Sega Genesis hit its golden age. With a large library of quality games and several more in production, Sega garnered even more customers and pulled ahead in market share, eclipsing Nintendo. In 1994, despite the Genesis' successful run, sales and customer satisfaction diminished due to poor company decisions and mounting debt. In an effort to keep up with Nintendo's new console, the Super Nintendo, Sega had developed the 32X expansion add-on for the Genesis along with new games that took advantage of the improved capabilities. However, this expansion sold poorly and only increased Sega's ever mounting debt. Several factions of Sega were at each other's throats, as Sega of America was having a hard time cooperating with Sega of Japan, which helped tarnish Sega's image. The Genesis era ended when the Sega Saturn was released. 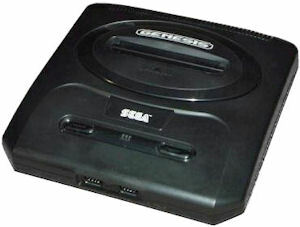 Four years after the Nintendo was released, Sega released the Sega Genesis console. The Sega Genesis was stealing sales from Nintendo because it was much more powerful, moving data twice as fast as the Nintendo (16 bit versus 8 bit). This was the first 16 bit game system on the market. It had better graphics than the Nintendo and much faster performance. The Sega Genesis used cartridges. The processor is a 16-bit Motorola 68000. The processing speed is 7.61 MHz, about as fast as an Intel 286 computer of that time period. Some popular games are Sonic 1, 2, and 3; Sonic and Knuckles; and Sonic 3D Blast. Resolution: Most games used 320x224 pixels. Due to the success of the NES, Nintendo bluntly predicted its market share in video games would be safe for a long time. In fact, Nintendo executives did not plan to make any new gaming systems, as they were not impressed by the newly released Sega system: the Genesis. However, as market share declined rapidly after the release of the Genesis, Nintendo executives quickly changed their minds. Nintendo could not afford to lose its monopolistic video game market share. Nintendo shifted its efforts to release a new system that would smash Sega's current superior Genesis. Masayuki Uemura headed the task to design Nintendo's new system to compete with the Sega Genesis. 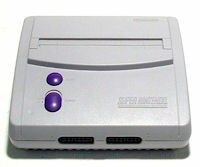 The Super Nintendo (also known as SNES) was released in Japan on November 21, 1990. Nine months later, on September 1, 1991, it was released in the United States. The Super Nintendo could be purchased for only $200 at stores, exactly the same price as the Sega Genesis. Offering superior graphics, sound, better hardware, and better games, many Sega fans ditched the Genesis and switched to the SNES. As a result, Nintendo started to regain its presence in the video game market; however, Sega's impact would keep Nintendo from ever monopolizing the video game world again. Before the release of the SNES, Sega dominated the market; at the end of the battle, the market was relatively balanced, and good ole competition continued to revolutionize video games to the next level. 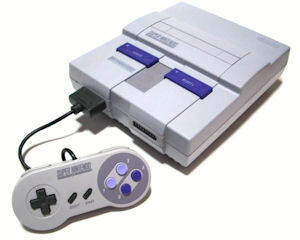 In October 1997, the Super Nintendo was redesigned to be lighter in weight and a lot smaller than the original. It was packaged with Yoshi's Island and sold for $100, half the original price! That's just about how much they are worth now used on eBay! The Super Nintendo was taken off the market in 1999 living a surprisingly long life despite the release of the Sega Saturn, Playstation, and Nintendo 64. The Super Nintendo was first released in 1991. It was a 16 bit system. The sound was the best available on a game system at that time. There are over 700 games for the Super Nintendo. The graphics were amazing, since Nintendo stepped up the graphics several notches from the earlier video game systems, the Sega Genesis, the first Nintendo, and the Atari. The Super Nintendo uses plug-in game cartridges. The processor speed was very slow (at the time) 3.58 Mhz, less than half the processing speed of the Sega Genesis. There were many very popular games for the Super Nintendo, including Super Mario World, Yoshi's Island, Mario RPG, and Zelda A Link To The Past. Resolution: Most games used 256x224 pixels. Originally designed to regain Sega's lost market share to the Super Nintendo, the Sega Saturn was designed to be the ultimate 2D system. However, an unexpected company revealed its plan to enter the gaming market with a 3D system. Sony, a long time producer of consumer electronics, released their plans to enter the video game market with the Sony Playstation. Fearing competition from a new player, Sega decided to overhaul the hardware in the Saturn to make it more powerful with greater processing power for 32-bit 3D games. Sega rushed the production of the Sega Saturn, as they wanted to dominate the 3D video game market before the release of the Playstation. The Sega Saturn was released in Japan on November 22, 1994. The release was originally a spectacular success. Over 250,000 consoles were ready to sell, and all of them sold within the first two days! A week later the Sony Playstation was released, but Sega's established brand recognition and sales momentum allowed it to hold a sales lead over Sony for the next six months. However, the rushed release was not without its problems and disadvantages. When the Saturn was released in the US on September 2, 1995, only one game was available for purchase -- Virtua Fighter. Only two more games were released over the next 5 months leaving many gamers waiting impatiently for something worth playing. The rushed release of the Saturn affected game developers negatively, as they had not been able to properly complete their games in time for the Saturn's early, unexpected release. Developers were rushing their games to the stores resulting in mediocre games and poor sales. This eventually left Sega with a bad reputation of selling games that were sloppily finished. The lack of quality games for the Sega Saturn, made worse by production delays, contributed to Sega's eroding sales. Due to the problems Sega encountered via their marketing errors, Sony took over the market and forced the Sega Saturn into submission. It's popularity would remain low for the rest of its life. With increasing debt, Sega dropped the Saturn from the market in 1998. The Sega Saturn was released in 1994, drastically raising the bar for game systems. Leaving the 16 bit world behind, it was the first popular 32 bit game system. The Sega Saturn had great graphics, visibly better than the Super Nintendo, thanks to the 32 bit architecture and dual processors! Yes, breaking new ground, the Sega Saturn was the first game system to have 2 processors, using two Hitachi SH2 32-bit RISC processors running at 28 Mhz. It also broke convention by using CDs, rather than game cartridges, which allowed better sound quality and larger, more sophisticated games. Available memory in the Sega Saturn was 2MB, also very impressive for 1994. Some popular games for the system were Die Hard Arcade and D. With such impressive technological specs, sales grew quickly, and Nintendo started to worry. In order to be competitive, Nintendo began working on a new system (the Nintendo 64), which was released two years later. Sony also announced it was planning on entering the market. The Playstation started its life as an add-on for the Super Nintendo, but with disputes over licences, Nintendo dropped Sony from the project. However, Ken Kutaragi, a Sony developer of the proposed SNES Playstation, did not want to give up on the project so easily. Sony president Norio Ogha agreed and approved the beginning of Sony Computer Entertainment Division so that development work could continue as a standalone product. The Playstation was originally going to play both Super Nintendo Games and Playstation games. However, this never happened as neither Sony nor Nintendo wanted to share the rights to their hardware. Sony wanted to bring the next generation of games to life, so they instead focused on 3D 32-bit gaming. The Playstation was released on December 2, 1994 in Japan. It was released in the US on September 9, 1995. Sony had an important advantage over Sega -- it was easier to program, so game development was quicker. Over 100,000 consoles were sold in the first few days. Sony took the lead over the Saturn because Playstation games were released quickly and were of high quality. Sony made its last Playstation game in 2006, Duel Masters: Sempai Legends. 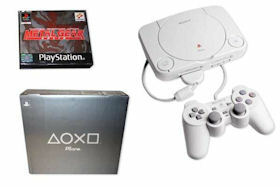 Sony entered the home video game market with its 32 bit Playstation released in 1995. The Playstation followed Sega's lead and used CDs instead of game cartridges. 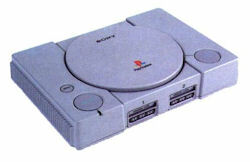 The Playstation also used a 32 bit R3000A RISC processor running at 33.9 Mhz with 2 MB of embedded memory. Some popular games are Tomb Raider 1, 2, 3, 4, 5; Twisted Metal 2; and Army Men 3D. The first Playstation model was a PSX (pictured to the left), which had lots of internal plastic parts. Sony later remodeled the system with metal parts so it wouldn't wear out as fast. This improved model is called the PS1. With both Sony and Sega controlling most of the 3D video game market, Nintendo again wanted to redeem its outdated system, the Super Nintendo. Thus, development began on Nintendo's own cartridge based 64-bit system. The Nintendo 64 was released in Japan on June 23, 1996. Three months later, the Nintendo 64 was released in the US on September 26, 1996, selling for $200. The Nintendo 64 uses cartridges instead of CDs because cartridges have better read and access times than CD's allowing them to operate faster. CD's, however, have the advantage of greater storage capacity, which allows better sound quality and longer games than cartridges. The Nintendo 64 uses video circuitry from Silicon Graphics, a company specializing in high performance video, which gave them advantages over their competitors Sony and Sega. The controllers are designed with quality and comfort in mind and are considered to be generally pleasing to everyone. The controller is able to rumble and shake (tactile feedback) via a rumble pak. The Nintendo 64 was not as successful as the Playstation in the United States, but worldwide, Nintendo sold over 30 million N64s, which is not too shabby! Nintendo never created a 32 bit system, opting instead to jump into the technological lead with the first 64 bit game system, the Nintendo 64, released in the US on September 26, 1996. The graphics were somewhat better than the Sega Saturn and Playstation, thanks to the 64 bit architecture and advanced video circuitry from Silicon Graphics. The processor is a MIPS 64-Bit RISC chip running at 93 Mhz. The Nintendo 64, also sometimes called the Ultra 64, has 4MB of memory. Interestingly, it uses game cartridges at a time when most game systems had moved to CDs. With their limited storage space, game cartridges generally do not give the same "CD-quality" sound as the CD systems. The Sega Dreamcast was initially rumored to be a 64-bit upgrade for the Sega Saturn, but this never happened. Sega was actually planning a completely new system that would be better than their competitors' systems, the N64 and the Playstation. By June 1997, Sega had two different designs for their new console. One was code named Black Belt, and the other was named Dural. Black Belt had an IBM/Motorola PowerPc 603e CPU with powerful 3Dfx Voodoo2 graphics. Dural had an Hitachi SH-4 CPU with NEC/Videologic PowerVR2 graphics chipset. Sega of America favored the Black Belt design, whereas Sega of Japan preferred the Dural design. They finally decided to choose the Dural, but Sega upgraded the Video RAM to 16MB instead of 8MB, which would double the quality of the graphics. The Sega Dreamcast was the first gaming system to be able to connect to the internet, because it had an internal modem. It was also the first 128-bit gaming console. The Dreamcast was slated for release on September 7, 1998, but there were numerous delays. Final touches were made to the system and the first games were scheduled for release. 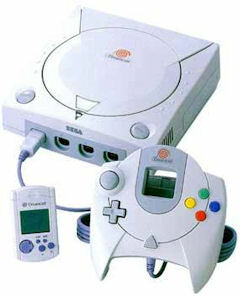 Sega hoped that it would not repeat its mistake with the early Dreamcast release as it had with the Sega Saturn. The system was finally released on November 25, 1998 in Japan. All 150,000 available consoles were sold in a day. By July 16, 1999, Sega gained a large portion of the market, outselling the N64 to a ratio of 3 to 1. The Dreamcast was released in the US on September 9, 1999 and sold for $200. After one year, one million consoles had been sold in the US. Dreamcast sales went downhill after Sony released their Playstation 2, because the Playstation 2 had better specifications and had a built-in DVD player instead of a CD player. Sega decided to drop out of the highly competitive game console business when other competitors announced plans for new, technically advanced systems. The Dreamcast was dropped from the market in 2001. Sega's Dreamcast also features a VMU (Visual Memory Unit) memory card. VMU memory cards feature a small LCD monitor that is capable of displaying certain statistics about a game as well as providing the player with a quick mini-game. Sega was worried by the success of Nintendo's 64 bit system, so they copied Nintendo's strategy. Sega by-passed the 64 bit level of graphics and leap-frogged up to the next level, 128 bit graphics. On September 9, 1999, Sega released the first gaming system with 128 bit graphics, the Sega Dreamcast. The graphics are stunning, as the 128 bit architecture allowed quality graphics that made characters look more like real people and less like cartoons. The Sega Dreamcast has a 128-Bit Hitachi processor running at a whopping 200 Mhz. The video game market was now very competitive and crowded. Both Sony and Nintendo were to respond to the Sega challenge with 128 bit systems later. The cost of remaining competitive was too high, and after about a year, Sega left the game console business, opting to concentrate on creating and selling games only. The Playstation 2 (A.K.A. PS2) was released on September of 1999 in Japan. It was released one year later in the US on October 26, 2000. The Playstation 2 was a power house in the gaming industry, as it incredibly handled millions of polygons per second, which optimized the graphics to allow more human characteristics and life-like occurrences like weather. The PS2 couldn't optimize these graphics without its Emotion Engine, as its specially designed CPU was responsible for its ability to simulate weather, human behavior, human emotions, and human speech. With its advanced hardware, gamers were more enthralled by next generation gaming which was impressive at the time. The PS2 can play CDs and DVDs. Playstation 2 games are written on DVDs, because DVDs can store up to 4.7GB or 8GB if dual layered. With greater storage capacity, games are larger and last longer. The PS2 can play both PS2 games and PS1 games. It also can use the same accessories such as a PS1 controller. The PS2s also have USB ports. A Playstation 2 console cost can be found for $125 or less in stores. Even today in 2009, the PS2 is still very successful. The Playstation 2 was the second 128 bit system, arriving on October 26, 2000. Sega dropped out of the game console business, leaving Sony and Nintendo as the main competitors. The graphics on the PS2 (short for Playstation 2) were significantly better than the Sega DreamCast's graphics. The PS2 has a 128-Bit Emotion Engine running at 294 Mhz, about 50% faster than the Dreamcast's 200 Mhz speed. The Playstation 2 introduced the use of a new media to the video gaming world, as it could play CDs and DVDs. Once again, in the sports games, the powerful graphics allowed characters to really look like people instead of cartoons. After the release of the Sega Dreamcast and the Playstation 2, Nintendo realized it better come up with a new system to compete against its powerful competitors. 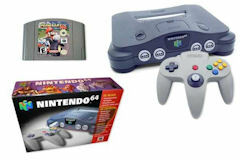 The Nintendo 64 could no longer keep up with the competition, and as such, a new system was planned. Dubbed the GameCube due to its cube design, the Nintendo GameCube was released in Japan on September 14, 2001. It was released in the US on November 5, 2001. The GameCube provides good quality graphics, but the Nintendo GameCube lacks a DVD player, and Nintendo opted to use mini DVD discs in an effort to prevent piracy which reduced the quality of its games. Nintendo promised that players would get more involved in Nintendo GameCube games, due to their impressive, realistic graphics, but the PS2 was more appealing. The Nintendo GameCube has four controller ports and two memory card ports. The Nintendo GameCube console is no longer sold in stores, as Nintendo has released the Wii which is three times more superior than the GameCube. 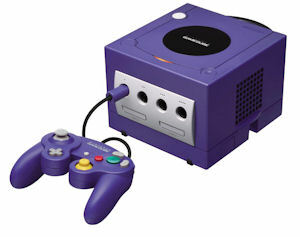 After Sony made an 128-Bit system, Nintendo made one as well, the Nintendo GameCube. Released in the US on November 5, 2001, the Nintendo GameCube had superior graphics at the time. The processor is a Gekko running at a blistering 485 Mhz and with 40MB of memory at its disposal. With hardware specs like that, this system can really pack some gaming action. Some of the great games are Luigi's Mansion and Mario Sunshine. The Nintendo GameCube was the first Nintendo System to finally use CDs. Capitalizing on its PC products, Microsoft looked to increase its revenue by expanding into the video game market in 2001. Creating a game system that was an exact replica of a Pentium 3 computer, the Xbox was the first system to be released in the United States before being released in Japan. 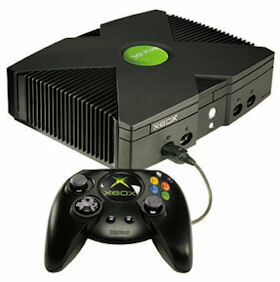 The Xbox was released on November 15, 2001 in the US. It was released three months later in Japan on February 22, 2002. The Xbox is derived more from personal computer technology, with an Intel Pentium III CPU running at 733Mhz. The Xbox's closest competitor to its CPU clock speed is the Nintendo GameCube running at 485 Mhz. Like a computer, the Xbox has an internal 8GB hard drive used to save games instead of using memory cards. Still, memory cards are available for the Xbox. The Xbox is no longer sold in stores, as its predecessor, the Xbox 360 is much more powerful and revolutionary. Smelling a mature market (i.e. 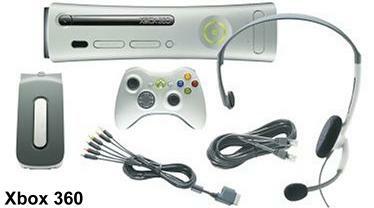 money), Microsoft plunged into the home video game business with its first offering, the Xbox. The Xbox is a 32 bit system running at an amazing 733Mhz with built-in DVD player. The Xbox is equivalent to an Intel Pentium III computer. Thanks to a dedicated NVIDIA graphic system, the Xbox offered decent graphics at the time. The Xbox can use CDs and DVDs. Some of the great games are Halo and Amped. With the success of the original Xbox, Microsoft released the Xbox 360 on November 22, 2005 in the US. The Xbox 360 surpassed consumer expectations because of superior graphics, hard drive support, and three processors working to create incredibly realistic graphics and surround sound. By using the Xbox 360 to gain a larger share of the video game market, Microsoft hopes to impress gamers far more than Sony's next system, the PlayStation 3. Selling for $299.99 or $399.99, the Xbox 360 easily surpasses previous video game systems and is worth the money. The $299 Xbox 360 package (A.K.A. Core System) consists of the system itself and one wired controller; however, the $399 package (A.K.A. Premium Pack) includes the console itself, a 20GB hard drive, a wireless controller, headset, remote, and an Ethernet connectivity cable. Numerous stores were sold out of the Xbox 360 systems in less than 2 days after its release, and most stores were even sold out of the Xbox 360s a month later. In fact, people wanted these systems so badly that they ended up bidding about $700 on eBay to get one. Stores didn't have enough Xbox 360 consoles because Microsoft set limits on the number of consoles sold during the first few months of release. The Xbox 360 broke new ground in the video game market with its powerful graphics and features. The Xbox 360 optionally included a built-in hard drive, ethernet and usb ports, a built-in DVD player, and many more ground-breaking features. The early release of the console, before the Sony Playstation 3 and the Nintendo Wii, should help Microsoft gain more market share. The Xbox 360 is a powerful system, but it can take a bite out of your wallet. CPU: Custom IBM PowerPC based CPU with 3 symmetrical cores running at a whopping 3.2 GHz each. Video Card: Custom ATI Graphics Card with 10 MB of embedded DRAM. Polygon Performance: 500 million triangles per second. Built-in Ethernet port, 4 controller ports, and 3 USB 2.0 ports. Supports DVDs, DVD-R/RW, CDs, MP3 CDs, and photo CDs. 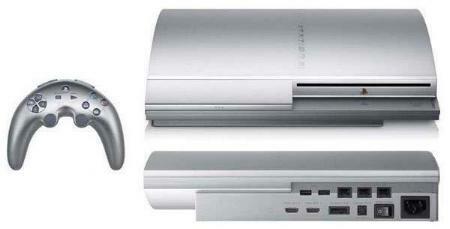 The Wii, released in the US on November 19, 2006, is the first console to use and implement sophisticated motion interaction technology to improve game play. It offers a breakthrough in video games, as it allows players to be more active while gaming. In order to implement such innovative technology, Nintendo spent tremendous amounts of money researching controller designs for their next console immediately after the release of the GameCube. They began their research early because Nintendo realized they would not be able to compete hardware wise against Microsoft or Sony. After completing extensive research, Nintendo produced a controller similar to a T.V. remote, dubbed the Wii Remote. This controller is held with one hand and uses motion sensor technology to control movement aspects in each game. Every Wii sold in the United States comes prepackaged with Wii Sports, a sports game featuring Baseball, Bowling, Boxing, Tennis, and Golf. Unlike sports games for other consoles, Wii Sports actually gives the player a workout. Instead of just pressing the "A" button to swing at a pitched ball flying towards a character at 90 miles per hour, a player must actually swing the controller and time the swing correctly in order to hit the ball. Not only does Nintendo's controller break traditions, but Nintendo has also raised the bar on its system. The Wii is about three stacked DVD cases in size, which makes it one of the smallest consoles to date besides Sony's PS1. 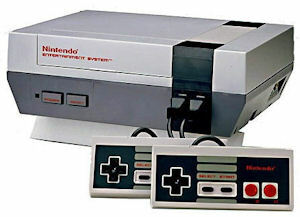 Able to connect to the Internet using a built in 802.11g adapter, Nintendo offers downloadable NES, SNES, N64, and some Sega Genesis games for a fee of about $10 per game, and features built-in emulators to play each downloaded game. To me, $10 for an old game, is not worth the price, especially when you can download these old games off the net and play them on your PC using an emulator for free. Nintendo's Wii is also backwards compatible with GameCube games. Tired of buying memory cards? 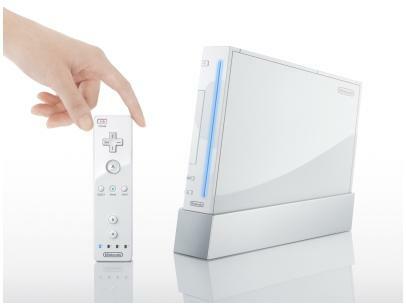 With the Wii, you won't have to buy a memory card ever again, as games are saved on the Wii's built in memory. The Wii already comes packed with a whopping 512 MB of RAM dedicated to your saves and features an SD memory card slot bay incase you need more storage. With 2 USB ports, four GameCube controller ports, and two GameCube memory card ports, the Nintendo Wii is a must-have for all gamers. Nintendo's next system, the Wii, has revolutionized the gaming market. Nintendo's new controller allows far more interaction in video games then ever before, and its size is impressively small. Able to connect to the internet and download games, it's well worth its price of $250, especially since the PS3 easily costs about $400! CPU: IBM PowerPC CPU with 90nm SOI CMOS process. Internet Uses: Multiplayer, Browsing, Downloading, Checking Local News. Ports: 2 USB, 4 GameCube, and 1 SD Memory bay. After controlling much of the gaming market with Sony's PS2 for numerous years, Sony finally released their next system, the Playstation 3 in order to compete with Microsoft's Next Generation console, the 360. Because of its "Cell" processor, Sony claims that its PS3 has the processing power of a super computer, and we tend to agree based on its 7-CORE CPU specification. The PS3 not only has the most advanced processor of all systems released, but its graphics have raised the bar, making games even more realistic, thanks to Nvidia graphics. The Playstation 3 has a built in Blu-ray disc reader. Each BD-ROM is capable of storing 54GB of data, meaning that games can be stored with higher quality and more features. Packed with Bluetooth wireless connectivity for wireless play, up to seven players may play multi-player, breaking Sony's original two player multi-player tradition. The PS3 also features six USB 2.0 ports and an SD memory card bay, eliminating the need for an official memory card. Though its features are quite impressive, its original price tag of about $600 scared away its immediate success. Today, the PS3 currently only costs $400, which is a steal for such a powerful system. Sony's next system, the PS3, is packed with some impressive features. Its improved graphics brings realistic gaming to the next level. Besides its advanced video, Sony claims its PS3 processor to be as powerful as a super computer. Built into the system is a Blu-ray Disc reader; games stored in this format can hold up to 54GB of data. With an original price tag of $600, the PS3 is the most expensive game system released to date. Ports: 6 USB 2.0 ports and 1 SD Memory bay. Additional Storage: Removable hard drive compatible. Additional features: Backwards compatible with PS2 and PS1 games. Due to the declining popularity of the Nintendo Wii and facing fierce competition from the Xbox 360 and PS3, Nintendo released the Wii U on November 18, 2012 with a price tag of $299.99. Piggybacking off of what made the original Wii a success, Nintendo improved its design by finally supporting 1080p HD resolutions for modern HD TVs. The Wii U features several hardware upgrades over the original Wii and was the first console to feature an Android powered tablet gamepad. Named the Wii U GamePad, the tablet features a touchscreen with analog and directional buttons which are used to interact with games. The screen on the tablet can be used to supplement the main display or it can be used directly as the main screen for some supported games allowing the player to move freely around their home. The Wii U is backwards compatible with most Wii games. The Wii U features a 1.24 GHz Tri-Core IBM PowerPC "Espresso" processor, 2GB of DDR3 memory, a 550MHz AMD Radeon GPU, and comes with built-in WIFI, Bluetooth 4.0, four USB 2.0 ports, and a SD card slot. External hard drives are supported up to 2TB in size for additional storage. The Wii U supports existing Wii Remote and Wii Remote Plus controllers which includes the Nunchuk and Classic Controller. The Wii U has sold poorly when compared to previous Nintendo consoles. Third party developers were slow to adopt and create games for the Wii U. Many of the Wii U's games are produced and developed by Nintendo. As a result, there aren't many games for the Wii U. Its library is rather small when compared to previous Nintendo consoles. Nintendo's next system, the Wii U, features several improvements over the original Wii including 1080p graphics support, 2GB of DDR3 RAM, and a triple core CPU. Due to a lack of developer adoption, the Wii U does NOT have many third party games. Most of the hits for the Wii U have been developed and released by Nintendo and feature their franchise characters including Mario, Kirby, Donkey Kong, and more. The Wii U's controller system is powered by an Android based tablet featuring a touch screen and directional buttons. The screen on the tablet can be used to supplement the main display or act as the main display allowing the player to move freely about their home. CPU: 1.24 GHz Tri-Core IBM PowerPC "Espresso" processor. Ports: 2 USB, 1 SD Memory bay, and 1 HDMI video output port. With the Playstation 3 finally showing its age after a productive and unprecedented 7 year run, Sony released the Playstation 4 (PS4) console on November 15, 2013 with a launch price of $399. Like the Playstation 3, the Playstation 4 comes with an integrated Blu-ray player. However, the PS4's Blu-ray drive is capable of outputting a 4K resolution when watching Blu-ray movies, but games do NOT currently run with a 4K resolution. An upgraded version of the PS4 (the PS4 Pro) is slated to launch on November 10th, 2016 and will be capable of running supported games with a 4K HD resolution. Unlike the Playstation 3 which featured a Cell IBM processor with seven cores, the Playstation 4 uses an AMD 8-core x86-64 Jaguar 1.6 GHz CPU. With eight cores, the PS4 is extremely powerful. The CPU features an integrated Radeon accelerated processing unit (APU) which handles the consoles graphics. In addition to its advanced CPU, the PS4 comes with 8GB of GDDR5 memory dedicated to the graphics APU. It also features 256MB of DDR3 RAM for other non-related graphics tasks. The PS4 also comes with an internal hard drive that can be upgraded for additional storage. Common hard drive sizes are 500GB and 1TB. The Playstation 4 also features built-in WIFI, built-in Bluetooth, an Ethernet port, and two USB 3.0 ports. The PS4 runs a customized version of the FreeBSD Unix operating system which Sony has named Orbis OS. Several devices and peripherals have been developed for the PS4 to enhance the gaming experience including the Playstation Camera and the Playstation VR. The Playstation VR offers a virtual reality experience powered by a headset with a head-mounted OLED display that features a 1080p HD resolution. The Playstation VR was released on October 13, 2016 with a price of $399.99. PS4 hardware is similar to PC hardware. It is essentially a powerful gaming computer, but it cannot match the performance of the latest PC technology. This is because innovations are always being made in the PC industry while consoles are constructed and designed to last several years and handle multiple games programmed exactly to their hardware specifications. PS4 games commonly require large day-one patches (sometimes larger in file size than the original games themselves) to be downloaded before they will run. This has been a common source of frustration which affects all current generation console systems. The PS4 is NOT backwards compatible with PS3 games. It is currently NOT possible to play PS3 games on the PS4. Sony's PS4 is packed with computer like hardware and is a massive improvement over the PS3. 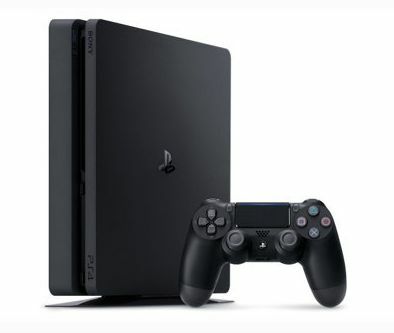 The PS4 supports higher resolutions and features an impressive 8GB of GDDR5 memory dedicated to its graphics accelerated processing unit (APU). Featuring an AMD CPU with 8 1.6GHz cores, the PS4 delivers a graphical experience unmatched by previous generation consoles. Sales for the PS4 originally outpaced those of the Xbox One and surprised Sony executives. A week behind the launch of the Playstation 4, Microsoft released its next-generation Xbox One gaming console on November 22, 2013. Billed as the all-in-one entertainment system, the Xbox One is able to compete against other digital media platforms while offering a solid next-generation gaming experience. The Xbox One comes with the upgraded Kinect 2.0 motion tracking sensor, camera, and voice recognition system. Kinect allows you to perform certain functions by using your voice to relay commands to the system (such as turning off and on). The controller has been redesigned and features different types of haptic (forces and vibrations) feedback. The Xbox One features an x86 architecture powered by a Jaguar 1.75 GHz AMD 8-core CPU with an APU dedicated to graphics. It comes with 8GB of DDR3 memory of which 5GB are available to the graphics Radeon AMD powered APU. 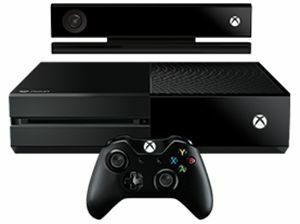 The Xbox One comes with a Blu-ray drive and games are released on Blu-ray media. You can watch Blu-ray movies on the Xbox One. The Xbox One supports a 1080p resolution, and like the Playstation 4, the original model does NOT support 4K resolutions. However, the Xbox One S, an upgraded version of the Xbox One, does support 4K scaled resolutions. The Xbox One features an upgradable internal hard drive, and it also supports external drives connected via USB. The Xbox One comes with built in WIFI, an Ethernet port, three USB 3.0 ports, and one HDMI output port. In response to the virtual reality (VR) fad, Microsoft is working on Project Scorpio which will be released sometime in 2017 which adds VR support, native 4K resolution support (not scaled), and additional hardware improvements. As is the case with the Xbox One S, Project Scorpio will be backwards compatible with all Xbox One games. The Xbox One does NOT have native backwards compatibility with Xbox 360 or Xbox games. However, some games are being re-released to run in an emulated mode via Xbox Live, the main user interface software loaded on Xbox One consoles. Like the PS4, games for the Xbox One commonly require large day-one patches (sometimes larger in file size than the original games themselves) to be downloaded before they will run. This has been a common source of frustration which affects all current generation console systems. Microsoft's Xbox One is packed with computer like hardware with a CPU clocked slightly faster than the PS4. The Xbox One features an impressive 8GB of DDR3 memory with 5GB being dedicated to its graphics accelerated processing unit (APU). Featuring an AMD CPU with 8 1.75GHz cores, the Xbox One delivers a graphical experience unmatched by previous generation consoles and is a noticeable upgrade over the Xbox 360. Additional Storage: Upgradable internal hard drive storage and removable hard drive support. Click on the link below to access our portable system information featuring Nintendo DS, PSP, and more! Still need more information on video game systems? See our Links page! Any questions? If so, email me.